Leptos Paphos Rentals is a division of the Leptos Group offering bespoke services to property owners and tenants. Through their in house team of specialists, they are able to offer cost-effective packages to suit all needs. Properties are offered both on a short as well as long term basis. 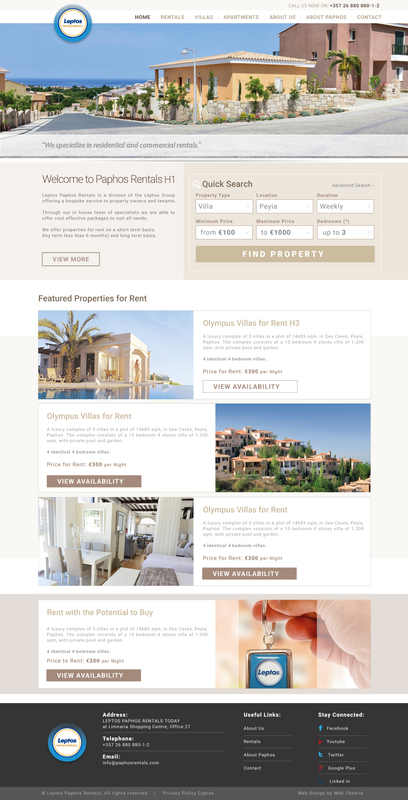 We worked closely with Paphos Rentals on the redesign and redevelopment of their website following a detailed analysis of their previous one, focusing on the need for new functionality and enhanced usability. We are proud to announce the release of their new website, which is fully optimised for every ‘smart’ device available, and now featuring new functionality that makes the website user-friendly and helps make searching for property to rent a joy! 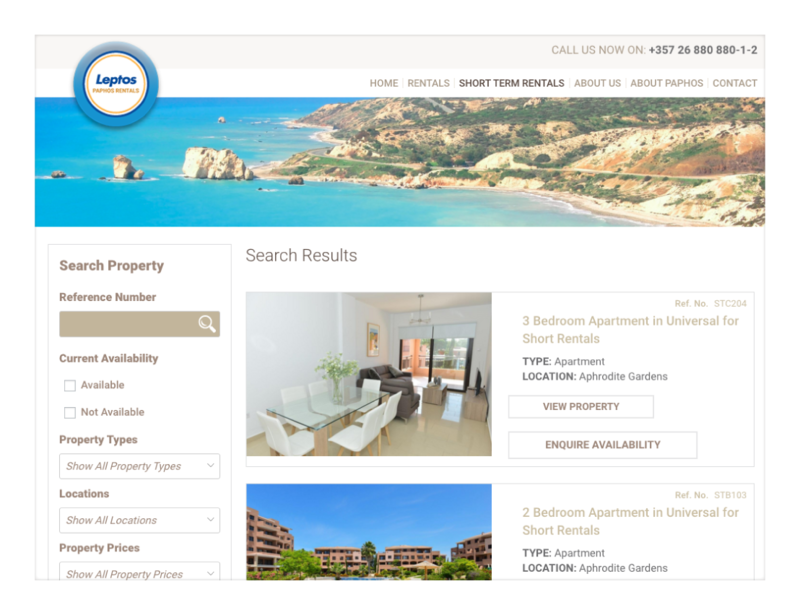 Overall, both Web Theoria and our friends at Paphos Rentals are very satisfied with the result. We would like to take this opportunity to thank the whole Paphos Rentals team for their excellent collaboration, trust and custom. We wish all the best with your new website.